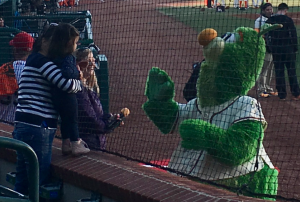 GREENSBORO — Brady Puckett spun six shutout innings to pitch the Greensboro Grasshoppers to a 6-1 Opening Night win over the Hickory Crawdads on Thursday night at First National Bank Field. A young fan takes an extra moment to warm up to Guilford the Grasshopper before the start of Thursday’s season-opener against the Hickory Crawdads. Greensboro won, 6-1. Puckett (1-0) scattered seven hits and two walks while striking out four in his Class A debut with Greensboro (1-0). Offensively, J.C. Millan paced the Hoppers, going 2-for-4 with a two doubles and a pair of RBI. Micah Brown also added two hits for the home team, a Class A affiliate of the Miami Marlins. The Hoppers broke a scoreless tie in the third inning when Garvis Lara doubled in Micah Brown and Jhonny Santos. Greensboro bulked its lead in the fourth with three more runs thanks to a pair of leadoff extra-base hits. Marcos Riveras opened the home half of the fourth with a triple to left field, and J.C. Millan brought him home with a double. Brown, who drove in Millan with a base hit, came around to score on Aaron Knapp‘s grounder to right field for a 5-0 advantage. Millan added another tally in the fifth with an RBI-double to plate Rivera. Hickory starter Tyler Phillips (0-1) took the loss, allowing five runs on six hits over 3 and 2/3 innings while striking out four and walking two. 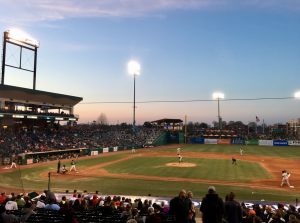 It was a great night for baseball – clear with a game time starting temperature of about 59 degrees. 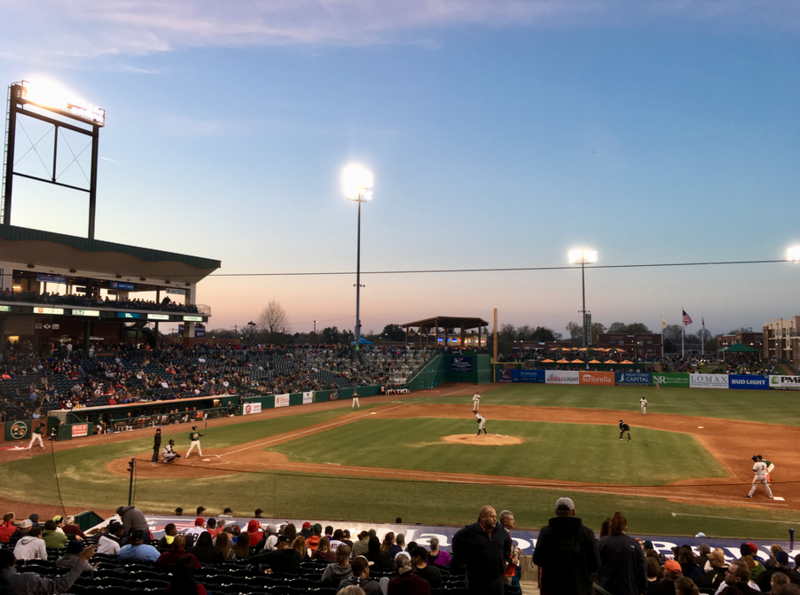 Greensboro’s bullpen kept the Crawdads off the board until the ninth inning. Reilly Hovis hurled scoreless, hitless innings in the seventh and eighth before HIckory’s Kole Enright homered (1) off Manual Rodriguez for the lone opposing run. The announced attendance was 6,604. Greensboro continues this season-opening home stand on Friday at 7 p.m. against Hickory. Friday’s game features post-game fireworks presented by Lincoln Financial. Tickets are available online at gsohoppers.com.